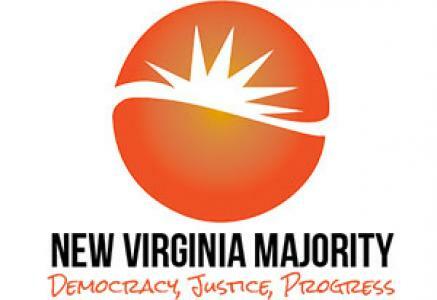 04/26/2018 6:00 AM by Jacob C.
On Saturday, April 28th, New Virginia Majority will host a community forum at Blackwell Community Center for community members to share stories of police stops, learn how data transparency is critical to fighting mass incarceration, and discuss the ongoing data transparency campaign’s next steps. In February, after many months of grassroots organizing by New Virginia Majority along with coalition partners Legal Aid Justice Center, Advancement Project, and Southerners on New Ground (SONG); the Richmond Police Department (RPD) began publicly releasing use of force and complaint data, including race and gender of civilian involved and where incident occurred each month. Since this victory, community members have also secured a commitment from RPD to start releasing additional, vital data on stop and frisks and traffic stops. Sounds like a far left organization that is looking to demonize the police so they are are afraid to their jobs. Look what has happened to Baltimore now that the police are afraid to their jobs. I am all for transparency, but be careful what you wish for. If New Virginia Majority succeeds in ramping down the policing in areas of concentrated poverty (i.e., the projects) there could be negative repercussions —namely, less policing. Per its website, NVM notes: “concentrated poverty in deliberately confined neighborhoods help[s] create the cycles of incarceration.” Perhaps NVM could sponsor a forum which discusses elimination of the housing projects. Traffic stops and stop and frisks are conduits for incarceration when those involved are committing crimes. People that, chances are, are not stopped and frisked probably cannot or will not understand the underlying issue. If it was used on, say the VCU student population, I’m sure there would be plenty of young white kids with drug charges. However, it is used mostly on young, black, mostly poor kids in the same age group, so they get to go into the system. If it, and other forms of policing were used fairly and equally, the color of the jail population would look different. No one wants the police to stop doing their jobs, people just want to be given the same treatment, and the police need oversight just like many other occupations need oversight. And if being held accountable means they stop doing their job, then they know they were not doing it properly in the first place.